Another Chipotle Closes After Employees Get Sick—Is It Finally Qdoba's Chance?? Chipotle’s reputation for food safety took a dive recently after a high-profile E.coli outbreak. 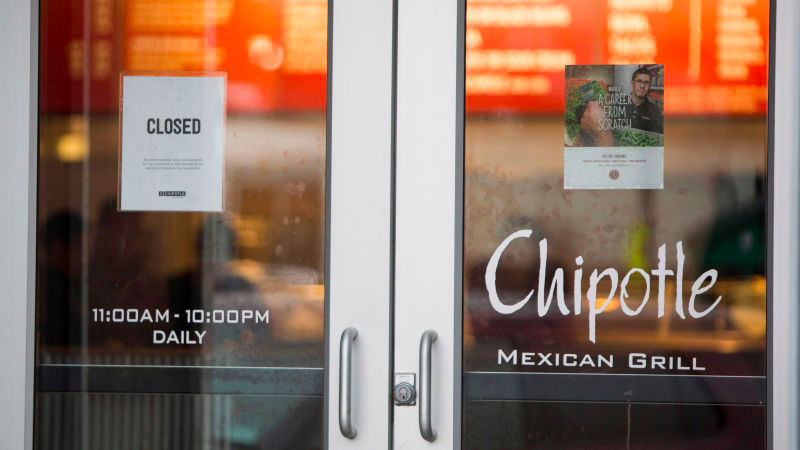 The fast-food chain even closed all of its locations for a nationwide food safety meeting last month, but that hasn’t stopped continued problems—a Boston-area Chipotle closed down Tuesday after employees were diagnosed with a norovirus. The restaurant will be “fully sanitized,” which is good. Noroviruses can be contagious, and cause diarrhea. And while it’s not smart to eat bean-ladled fast food without at least accepting the possibility of loose bowels, noroviruses can last more than three days, when the taste of extra guac is a distant memory. Four employees have reported feeling ill, said Chris Arnold, a spokesman for the restaurant. Any other employees who do not feel well will be tested and will not return to work until they fully recover, he said. During the closure, the restaurant on Boston Road will be fully sanitized, Arnold said. Did they forget to include a “Don’t Sneeze on the Beans” segment in the food safety meeting? Hard to say, but somewhere, Jack in the Box CEO Leonard A. Comma—proprietor of Mexi-Cali fast-food chain and BITTER Chipotle rival Qdoba—swivels around in his office chair. He laughs—gleefully. It is his time—no one can stop him now.